Apple has slashed the price of the HomePod across all regions where it is available. 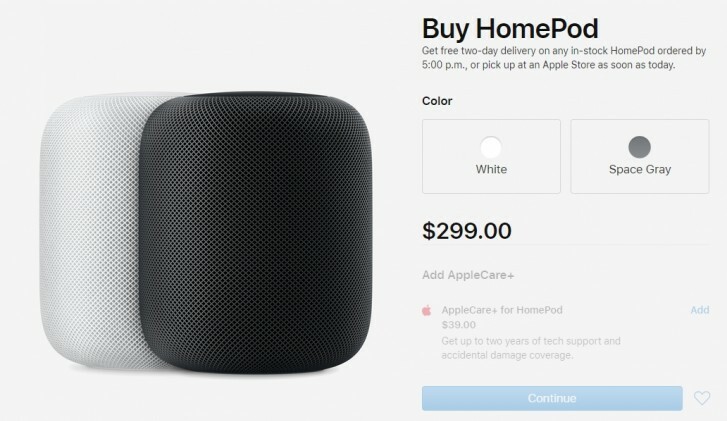 In the US, the HomePod is now priced at $299 instead of the previous $349. In the UK, it’s now available for £279 instead of £319. Other regions, too, have seen a price drop. The HomePod price drop is somewhat unconventional for Apple. Usually, Apple products keep their price far too long into the product cycle. This is usually seen on Macs, that don’t get updated as often as the iOS devices. One could surmise that the price drop is due to the lukewarm sales of the HomePod, which hasn’t exactly taken the world by storm and has been a slow performer in Apple’s otherwise overachieving family of devices. With a price tag of $349, it was one of the most expensive smart speakers on the market. It is also limited to playing music only from Apple Music and you need to use AirPlay from your phone if you want to use any other music service with it. It’s also available only in a handful of markets. As such, the device had few takers, likely only those already entrenched in Apple’s ecosystem. Which is unfortunate, as the HomePod is one of the best sounding smart speakers on the market. Apple likely hopes the new pricing attracts more buyers but the HomePod remains one of the most expensive speakers on the market, which is now flooded with cheap Alexa-enabled devices. Of course, the HomePod will still be the better sounding option but with Siri being the primary interface and the Apple Music restriction still in place, it’s hard to say whether even people who have $300 lying around for a speaker would be interested.